If you are one of those in back office offshoring solutions who manage social media channels for your beloved clients, you might already feel that a somewhat complicated 2018 is beginning to creep in on us as early as now. For all of us, the key take away question for the year is: What will happen to social media in 2018? The use of LinkedIn Ads will be a thing. To date, LinkedIn has already built a network of more than 500 million subscribers. Its growth is quite comparable to Snapchat in 2016 and how Instagram grew last year. It has been announced that this year, the social media channel will launch a video format called LinkedIn Ads. 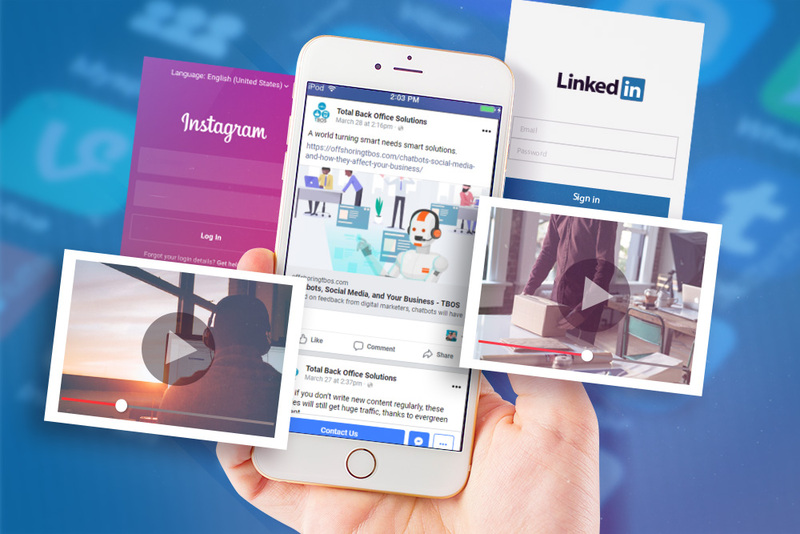 If you are into LinkedIn, you will begin to notice that this year it may be the first business oriented-social media platform to play video ads. Video content on Facebook will be more prominent. It is quite easy to predict the strategy that Facebook will use this year. Simply go through your news feed and you’ll see how much audio-visual content is being posted. Last year, Facebook launched its own video on demand service: Facebook Watch (currently available only in the US) which they are planning to expand to a global audience in 2018. This year, we predict that Facebook will launch new developments aimed at video content creators that seek to boost the brand visibility. Soon we may even see Facebook in a TV or cable TV format. Companies who are into social media marketing may need to draft more effective strategies in their digital marketing strategy plan to create better results for their analytics. The amount needed to tap a larger audience and new clients could also increase. So, the most practical thing to do is to study the actions performed by the target audience and focus social media efforts on that. By retargeting, companies will reach the right people at the right moment. No longer will ads be sent to a random list of people but to a group that is sure to embrace the message and buy. The brands will direct their efforts to YouTube to generate leads. The continuously rising cost of putting ads on Facebook and Instagram will make brands use and embrace other existing platforms and we can see that video pioneer, YouTube will be a powerful tool. Currently, YouTube Marketing is not as explored as Facebook with regards to its potential in attracting leads and clients. If you are keen on details, you may notice the shift from being just a video hosting site to a marketing monster. Instagram will become the best option for brands. In July of last year, more than 15 million businesses subscribed to IG. This number is most twice the number as those of March of the same year. In terms of digital marketing, Instagram is revving up to be the social media platform of choice for different businesses across all industries. While it may not beat Facebook for now, it is positioning itself as a crucial player and soon-to-be leader in the world of digital marketing. Video content through different channels will be a powerful tool for marketers. These days, videos are the most popular form of content on all social networks. For businesses such as yours, posting a video on Facebook is not enough. What will work is posting videos on different social media platforms.